By CupcakeRetro on September 17th, 2009 . Filed under: Birthday Ideas, Cupcake Ideas, Home Decor, Kitchen, Party Items . I love shopping at TJ Maxx and Marshalls. 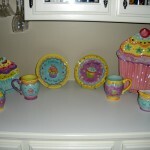 I can always find a few cupcake items that I just have to have. 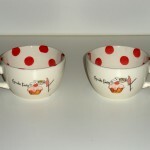 In the last few weeks I have found many cupcake items in the kitchen sections. Keep in mind when shopping at TJ Maxx or Marshalls that sets of items are often not available at the same time and it may take a few weeks to complete a set. Also keep in mind that half of a set may be for sale at TJ Maxx and the other part at Marshalls. Always save your receipt so if you can’t find all the pieces you want you can just return them. 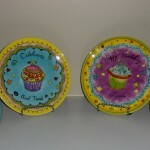 7 Responses to Cupcake dish sets. What an AWESOME find! 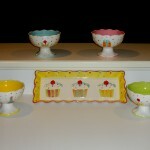 I have been looking for cupcake fairy items for a long time! Hey i was wondering how much you would to set your blog theme up on my internet site for me, because i really like the look of your web log but i do not know how to build such a good theme.